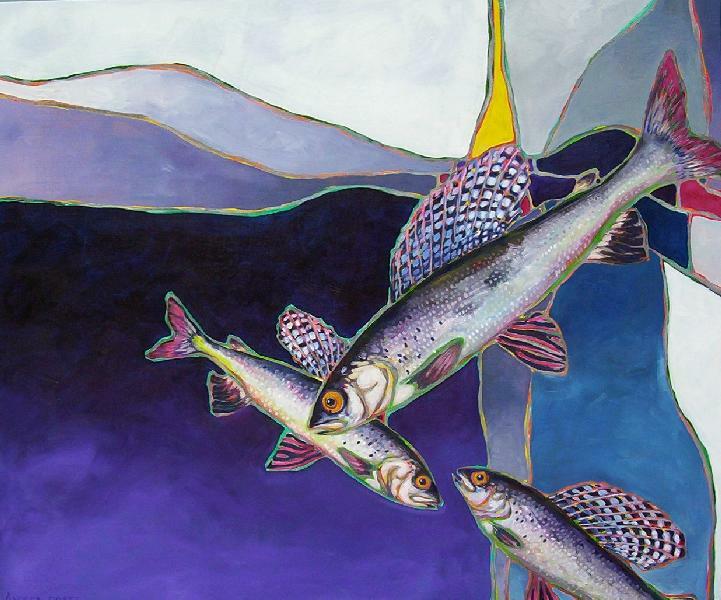 Arctic Grayling is one of the tastiest fishes around. The meat is firm and very white when prepared correctly. The preparation can be simple or complex, depending on where you are, who you are, and what you have access to. Let's face it, boys and girls; you won't have access to a spice rack at the campfire. Here is one quick one and one for the more sophisticated palate. Clean the grayling as soon as it hits the boat. The meat will breakup very quickly, so get it to the fire as soon as possible. Place on a sheet of foil and salt the inside of the fish with seasoned salt. Add a touch of beer (YEA! Beer!) and wrap the foil around the fish, enclosing it so it can't get away. Put in the hot coals and let cook for about 15 minutes, maybe 20. It's a good idea to turn it once during this time so the fish cooks through evenly. Very simple, tastes great and only takes about a half hour to get it to the plate and in your belly. Perfect fireside preparation! Prepare your favorite pasta as you always do. Make sure the pasta is NOT al dente, but completely cooked! Set aside in a bowl. You'll see why later. Cut the Grayling into strips or chunks and sauté in a skillet with butter until the fish is done. Now add the bacon, onion and wine to the hot sauté pan and cook until the onions are done through, about 4 minutes. Watch those little criers! DO NOT BURN THEM! In a bowl, whip the tar out of the eggs and thin the mixture a bit with some cream or milk. When the onion concoction is ready, dump it into the strained egg mixture and mix well. Add this to the pasta and toss until covered. Arrange on plate and top with the cooked Grayling. This sauce is served cold over hot pasta. A little different, but very good and can be livened up a bit with the addition of Cayenne pepper or Tabasco sauce. Bon appétit, my fine angling companions and a-fish-ianados! 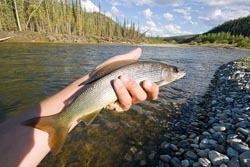 Thank you for trying out our Arctic Grayling Recipes. If you have other Arctic Grayling recipes that you would like to share with the world, please contact us with the recipe.